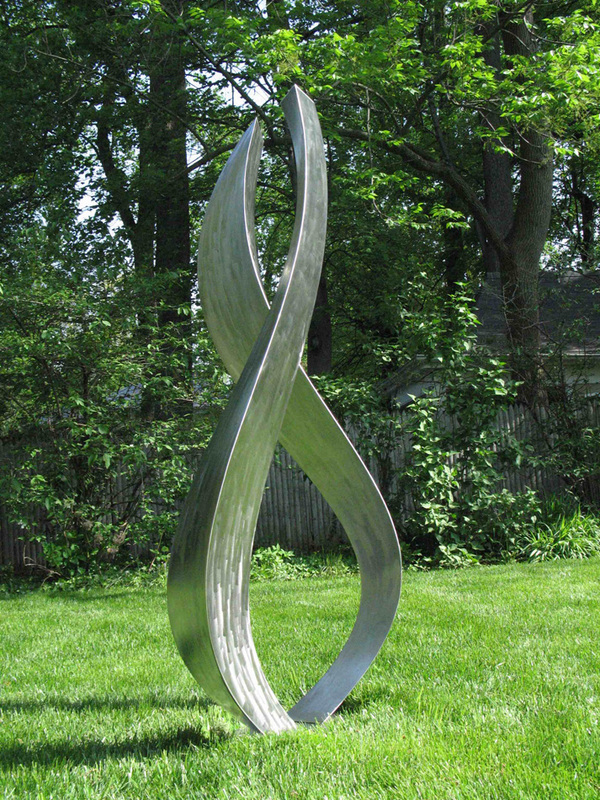 This soaring two-element sculpture is comprised of complex surfaces that have been uniquely designed to create curvilinear and twisting shapes. This design has many interesting views, depending on the vantage point. 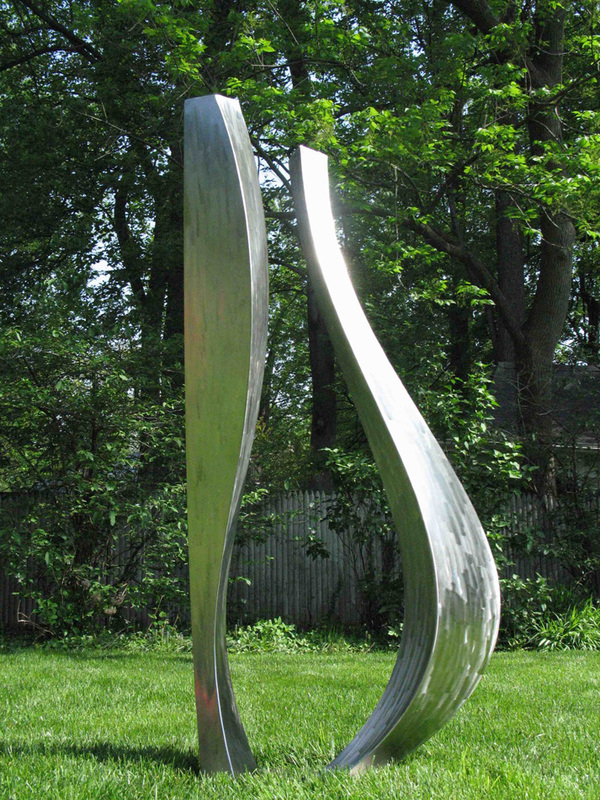 Created for Prescott Condominiums, Alexandria, Virginia.